In most areas we have the sign companies who will come out, dig a hole, and place a sign post and flyer box. 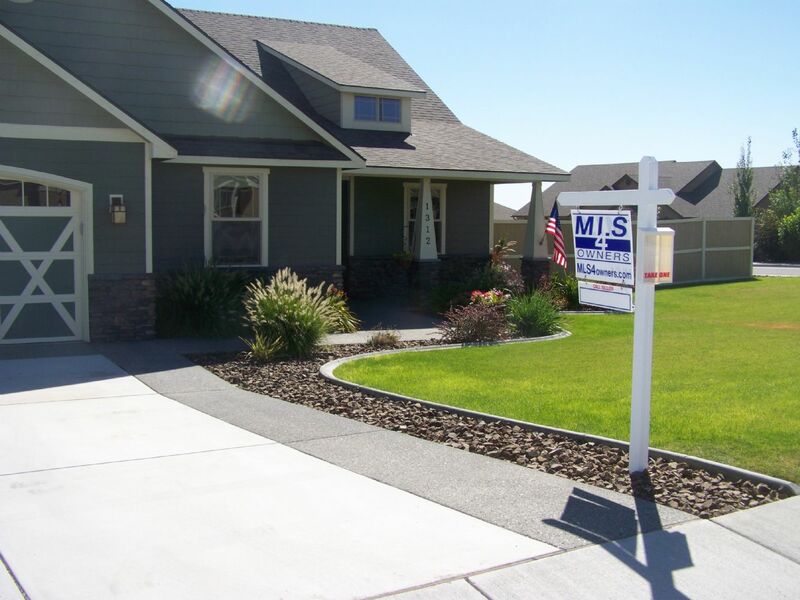 Note regarding sign placement: Due to local sign ordinances and enforcement by municipalities, homeowners associations and other interested parties, MLS4owners.com will place sign orders ONLY for installations that are at the subject property. Rules and community standards for real estate sign placement have received significant attention. The sign vendors we use have incurred significant losses due to removal of posts and are unable to bear the risk of installations at locations not under the direct control of the property owner. Does your property face two streets or is it on a corner lot? We can do a second full installation of post, sign and rider for $125, if both installations are on YOUR property. Even if your homeowner association prohibits posts, we can mail you a loose sign and Call Seller Rider upon request.